Since I had recently finished reading Instant Relevance: Using Today’s Experiences to Teach Tomorrow’s Lessons by Denis Sheeran, I knew I needed to have my PreCalculus students do this activity. We were days away from reviewing the trig ratios and I knew this would be an engaging and fun way to have them practice. I quickly did some research on The Dab. Sports Illustrated published a helpful article on The Dab’s history in sports. While there is some disagreement over the originator of The Dab, most people agree it originated in the Atlanta hip-hop scene. There are also some fun celebrity videos in which people are taught to dab: Jason Derulo teaching James Corden around minute 7:05 and Ellen Degeneres teaching Hillary Clinton. Then, I got to work putting together the actual lesson. 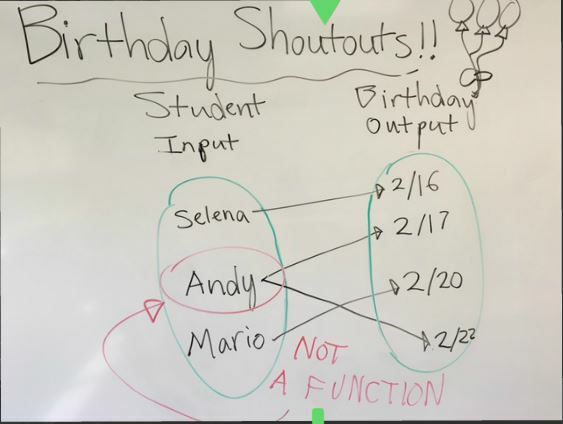 Special shoutouts to Matt Vaudrey for his amazing Mullet Ratio lesson which inspired some of the format, and Lisa Bejarano for her feedback and input to the lesson itself. -Look at images of dabs and ask students which is the best one? Try to figure out what makes a dab, a dab. -Continue debating. Is one dab dab-ier than another? The dab-iest? Most students were immediately engaged in The Dab Debate and had an opinion of which dab they liked the best. However, a few immediately told me that The Dab was dying (or was already dead according to which student was asked). This was sad to hear. But there were enough students thoroughly debating for their favorite dab that the “silliness” of the conversation took over the room and we proceeded at full speed ahead. I think her dab is great. 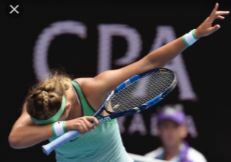 My students on the other hand, said things like: “She forced it.” “She looks like she practiced that for hours.” They are a tough crowd, but know much more about The Dab than me, so they are the experts here. I asked for some clarification on having both arms line up. This is okay sometimes. It was hard for them to describe, but they were very adamant that it couldn’t look like you were trying to hard. Their dab advice: Look confident. Look comfortable. Be natural. Just hit it. Each student picked two side lengths and the appropriate trig ratio to use. We also had a brief discussion about similar triangles and why this method of using trig ratios based on side lengths measured from a picture would be comparable to measuring in real life. 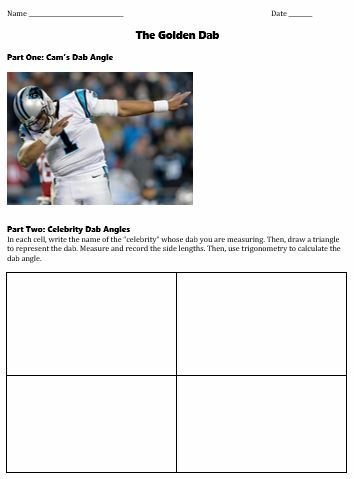 Lastly, we talked about the possibility of measuring errors and decided we were calculating “close enough” dab angles. Then, students had the chance to choose 4 of the 6 “celebrities” located around the classroom to measure and calculate. My principal graciously dabbed for me and his image drew a large crowd. Betty White had the smallest dab angle, around 20 degrees, and everyone agreed she was one of the best, but mostly because of who she is. Our principal’s was about 50 degrees and this also elicited a positive reaction. I sensed that many students did not want to dab for Part 3, so I asked for volunteers and we all measured their dabs instead. Students used any of the 3 trig ratios they wanted (sine, cosine, or tangent) based on whichever side lengths of the triangle they measured. At the end of class, I asked the big question, Is there a “Golden” Dab angle? The answer: 5/16 say yes. 11/16 a resounding no. S1: 45 degrees. Because that is half of 90 degrees and that would be a perfect dab. 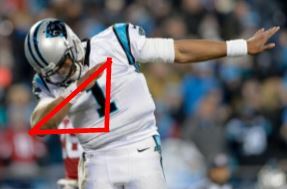 S2: I believe Cam Newton has the golden dab because he is closest to 45 degrees, 48. He looked like he knew what he was doing and looked confident, which meant he dabbed almost perfectly without overdoing it. S3: The best dab angle is 30 to 40 degrees because it looks the cleanest. S4: It is 45 degrees because you have maximum effect without overdoing it. You also look much cooler. While it is nearly impossible to know the exact angle while you’re doing it, you should try for 45 degrees. Practice makes perfect. S5: It would be between 33-45 degrees because it looks the best and is the most common. But almost any angle could be a golden angle depending on the person. -Everyone is different and unique so for a dab to be “perfect” to you, you just have to have your own style. -If you take another picture of the same person again, it wouldn’t have the same angle as before. -There isn’t one exact way to do the dab. -There isn’t one angle because everyone can dab however they want. -There isn’t one because everybody’s arms are different lengths and people have different styles. -It only depends on the person and confidence in doing it. They can’t seem like they’re trying too hard. The surrounding sometimes matters too. -It all depends on someone’s surroundings, persona, swagger, and confidence. The dab depends on the person, therefore there is no golden dab angle. We didn’t have time to work on the extension questions, but I am including them here in case someone else wants to use them. • Can you dab at 30o? 60o? Which angle feels the most comfortable? The least? Why? • Sketch a dab with an angle of 90o. Is this feasible in real life? Why or why not? • If a person creates a 25o dab and their combined dab arm length is 44 inches, how high vertically would their hand be above the ground? The conclusion: There isn’t a lot of math in this post, but there was a lot of math done in class. However, it seemed like a natural part of the conversation because we needed it to talk about a golden dab, but then collectively decided to throw it out the window as most students agreed there was no one right way to dab since everyone has their own style. But after closely comparing dabs, and ignoring personal style/confidence, many decided that 45 degrees made for a pretty good one. But the perfect one? A dab done with confidence. 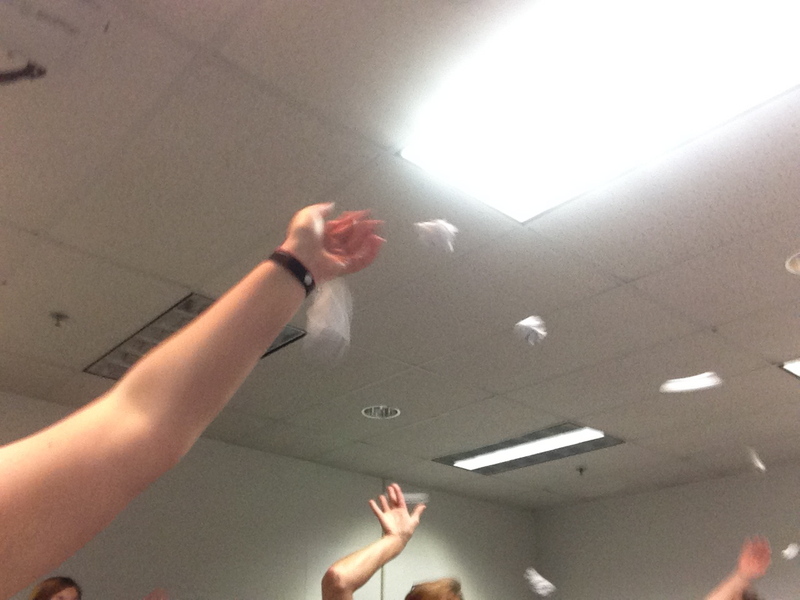 This was the perfect activity to review finding angles using the trig ratios. If you try this with your students, please share how it goes! I’m curious how other students around the country view the second arm’s importance to the dab, and whether or not a 45 degree golden angle is upheld or not, or do we agree it’s all about your swagger? Get out your calendars and mark them now! Twitter Math Camp 2017 is being held from July 27th-30th at Holy Innocents’ Episcopal School in Atlanta, Georgia. Having just returned from my 4th Twitter Math Camp (TMC) experience in Minneapolis, I feel the need even more to book my entire summer plans around this camp. I like to spend time in the summer with my family and friends; go to the beach; read a book for fun; nap; go to the drive-in, etc. But I also NEED to spend four days in person with my MTBoS family. The people and sessions at TMC invigorate my passions and spirit and convince me that I can conquer anything in the upcoming school year. Favorite Pre-TMC Outing: After arrival, I adventured to the Minnehaha Falls with a small group. The weather wasn’t the best, but we had a fabulous time exploring the falls and walking to the confluence of the Mississippi River and Minnehaha Creek. Favorite New Desmos Calculator Feature: Desmos now has audio capabilities for visually impaired and blind students. Use Command F5 for the voice option, and Option + T for the audio trace. Desmos will read the expression being typed, and then play a graph used a pitched audio representation. Kudos to Desmos for striving to be fully accessible to all users! Favorite New Desmos Activity Builder Feature: Card sorts! Ask Desmos and you shall receive! By turning on the “Labs” option once you’re logged into Desmos, you now have the option to build card sorts within the activity builder platform. I made a cart sort for Quadratic Equations, and I can’t wait to make more and then also steal from the crowdsourced list. My group loved that we can input card sorts already created; ask students to sort in more than one way; narrow responses by asking for a specific number of cards in a pile; and ask students to analyze why someone else sorted the cards a different way. The possibilities are truly endless, and you can check out the card sort bank here. Favorite Passionate Educator Title: Chief Evangelist. In her keynote speech, Sara VanDerWerf challenged us to become “Chief Evangelists” for our passions in math education. Sara said, “Sharing your best with others who can benefit is a responsibility and opportunity that falls to everyone” and “To be good at evangelizing, you’re gonna have to practice.” You also need to prepare mini-elevator speeches for each of your passions so you’re ready to share, and tweak them depending on your audience (students, parents, teachers, leaders). I’m going to spend some time this summer narrowing down my list of math education passions to figure out what I want to advocate for. Favorite Dorm Life: While not all aspects of Dorm Life at Augsberg College were glamorous (looking at you, shower stalls), I had a complete ball living with some TMC-ers for four days. Waking up and having morning bathroom chats about math ed, doing the wobble in common areas late at night, and watching the bachelorette with a huge crew were all completely memorable TMC experiences. from whatever paper is in front of them. It’s anonymous, non-threatening, and fun for students. And again, it provides them with an outlet for individual think time, following by writing, reading, and speaking. Priceless. Favorite PD Strategy: To assess participant’s understanding during professional development, I highly recommend using the “Filling in Circles” strategy modeled by Michelle. Start by identifying the key concepts of the session, or in our case, the barriers to implementing responsive stations. Then, have participants continually reflect on the topics and fill in the circles as their learning and understanding grows. Facilitator is able to see what topics need to be discussed more, and participants are able to ask better questions about what they want/need to know. Very easy and very powerful. 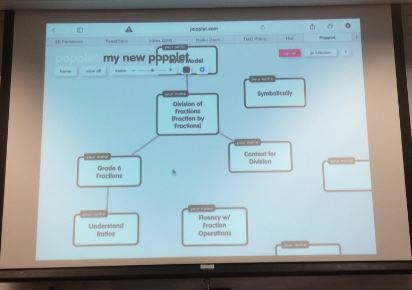 Favorite Mapping Tool: Popplet. Use it as a mind-mapping tool or to help students think/learn visually. We used it to map skills and identify gaps. Favorite Restaurant: Pizza Luce! I had Baked Potato pizza both times we went there because it was just SO GOOD. They were also very accommodating of our large groups. students. He branded them with shirts, stickers, and inspirational speeches; and the kids just LOVED it. They bought in. 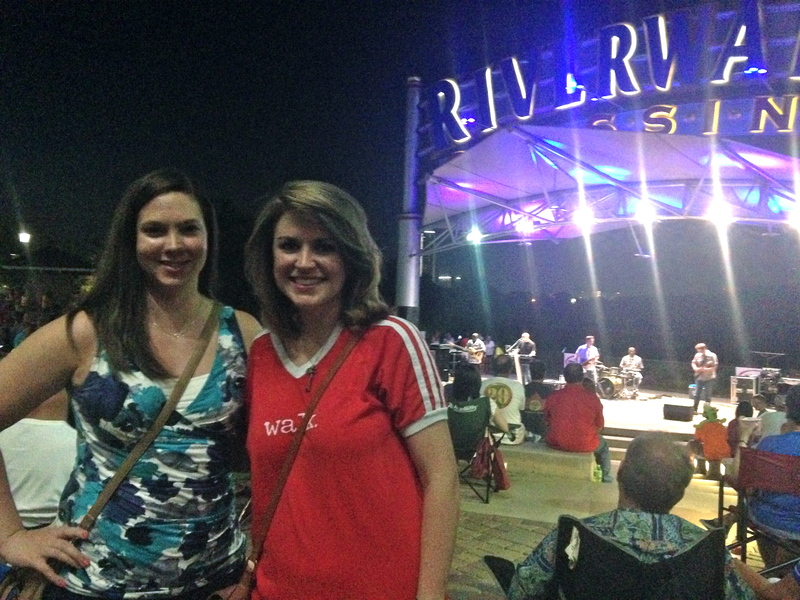 They felt like they were part of a special community… because they were. 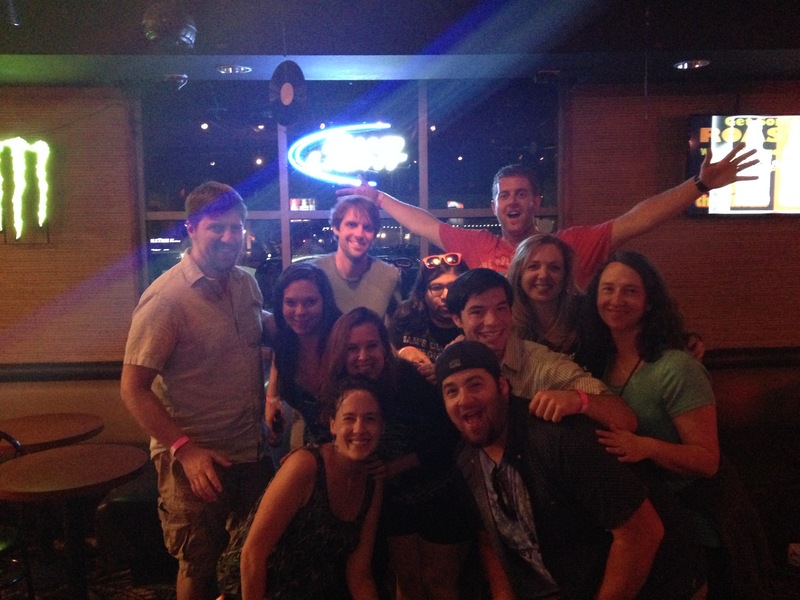 Jonathan even graciously invited all of TMC16 to join the team. How can we create shared experiences for the students in our own communities? Favorite JLV Reminder: In Jose Vilson‘s keynote speech on “TMC16, Race, and What We’re Not Talking About,” he challenged us to lead hard conversations and be okay with feeling uncomfortable. He also reminded us that we have students who are much more capable of talking about this stuff than we are; often because they have less filters. He told us to “get out of their way” but provide an outlet to let it happen. This was a much needed reminder for me, because I often feel like I should/need to have all the answers, so when I don’t, I avoid the conversation. I know I need to work on this, and my students can probably help me. Watch Jose’s keynote here. Favorite “Getting Triggy With It” Activity: Kristen led an excellent session on how to make trig and the unit circle not a mystery. Grab all her resources here! My favorite activity was using one triangle drawn on patty paper to construct the unit circle. Simple approach but nicely shows how all the key points are determined. Favorite Verb: Edmund Harris and Chris Shore reminded us that modeling is a verb. It’s something kids should be doing, not something given to them. Modeling is a: Creative. Active. Process. Favorite Physical Activity: Sara graciously brought her Backwards Bike to camp, and let me ride it as much as I wanted. If you’re not familiar with backwards bikes, watch this video. Even though I came home with several bike battle wounds, I had an absolute blast trying to ride this thing. Even after just a few times, I felt like I was making progress and coming up with new strategies to try out. Now I’m off to find someone to make one for me. Favorite Project: Sam shared a project he does with students called “Explore Math” so they can explore math outside of school and see its beauty. He wrote about the project on his blog and shared the website he asked students to explore. It’s a “low stakes, high reward” activity. Some kids will do the bare minimum, but others will take it to levels that Sam wasn’t even expecting. His recommendation is to keep it open, keep the mini explorations mini, and don’t compare projects. Favorite Pre-Assessment: Don’t have one yet, need to make them! Michelle led us through an eye-opening morning session about identifying the gaps in students’ understanding and then using responsive stations to address those gaps using differentiation. I’m excited to follow Michelle’s instructions to create appropriate pre-assessments. There should only be one skill per question and as short as possible. Focus on what pre-skills students need to know in order to be successful with new content, don’t worry about the would-be-nice-to-know. The goal of the pre-assessment is so you can figure out where students are at, and provide them with learning opportunities if they don’t know, and learning opportunities if they do know (enrichment). Elissa wrote a great recap of the entire three days. Favorite Call to Action: Tracy Zager‘s keynote speech titled “What do we have to learn from each other?” was inspiring and community-driven. She stressed that we need to stop pitting content and pedagogy against each other; we need to stop pitting elementary and high school teachers against each other. Neither of these things is productive for our community. We all have an important role in building our students’ conceptual understanding, and we need to work together to get it done. Tracy’s call to action is to analyze whom you are following on Twitter, and make sure you have a variety of contacts you can reach out to for support and to ask questions. Watch Tracy’s keynote here. Favorite Fraction Problems: After Tracy’s talk, I pushed myself to attend Brian Bushart‘s session on fractions: a place I knew I would feel out of my comfort zone as a high school teacher. One of the reasons Brian said fractions are so hard for students, is due to practices that simplify or mask the meaning of fractions. By finding a common denominator, you aren’t comparing fractions anymore. You’re now only comparing the whole number numerators. Cross multiplying is an example of masking; you’re getting rid of the fractions and comparing whole numbers. This masks the fact that you’re still comparing two fractions. Neither of these strategies takes into account the size of the fractions and therefore rob students of sense making. Brian then shared a bunch of strategies for how to deal with this, and I will lead you directly to his documents to learn more. Favorite Fraction Big Idea: Another huge idea that Brian threw at us is the difference in how whole numbers and fractions are treated as adjectives and nouns. 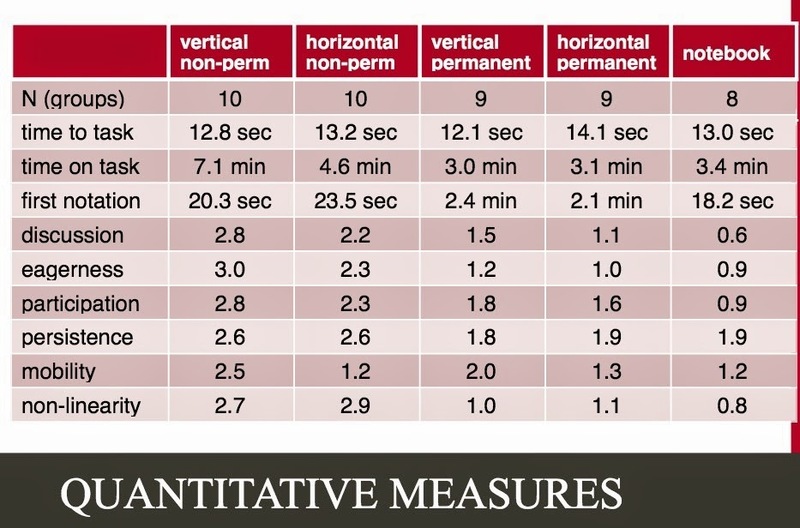 Look at the slides below for comparison. I’ve never really thought about it this way before, so this was a *mind blown* moment for me, and others at my table. Many students don’t actually gain enough understanding about fractions to realize that fractions are actually numbers and can be represented on a number line. They get stuck at adjectives (1/2 a cake) instead of moving onto nouns. This is where we need to get! Favorite “Make It Stick” Strategy: In her session, Anna talked about the various ways she uses strategies from Make It Stick in her classroom. My favorite strategy she discussed was Calibration. The goal is to “replace a subjective experience or feeling with an objective gauge outside ourselves.” It stems from the “Illusion of Knowing” in that we think we know something, but really we only have a familiarity with it. The book recommends providing more opportunities for students to test themselves, review again, and test again. Quizzes need to be low stakes. I chose this as my favorite, because it ties in nicely with my morning session theme of helping students to fill in gaps. Favorite Dylan Kane Confession: Dylan Kane‘s keynote speech titled “More than Resources” was one of the most honest and open talks I’ve ever heard. Dylan’s confession that he thought he was doing a good job when he started, but then realized he could be doing much better, really stuck with me. His big lesson learned was: “My intuition isn’t very good, because we see what we want to see.” Dylan was stealing all the great resources from the MTBoS, but realized that great resources do not equal great teaching. He challenged us to think about what will specifically work with our own students; and deliberately practice what we want to get better at. I haven’t come across a video of Dylan’s keynote yet, but you can access his resources here. 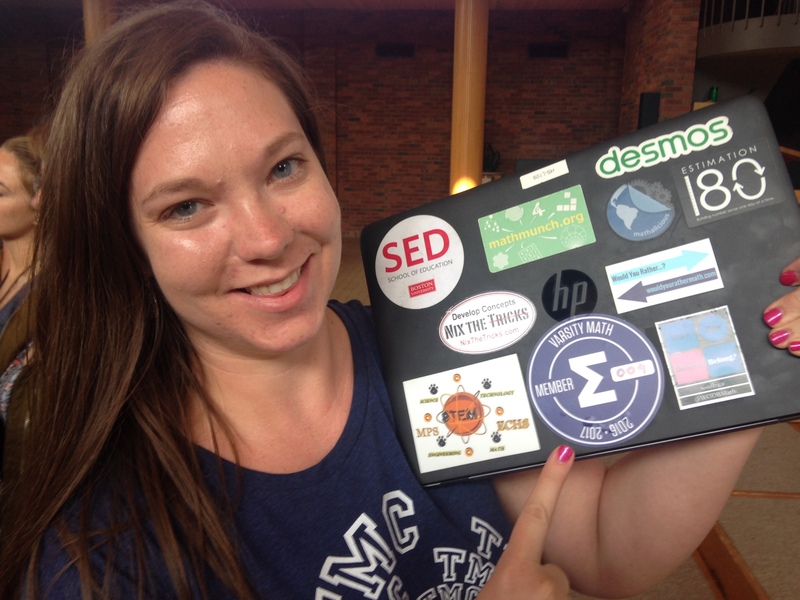 Favorite Student Quote: I know what you’re thinking, there were no students at TMC16 so how can I have a favorite student quote? Well, in Annie‘s flex session on “Mathematicians: More than just white dudes” she shared this student quote: “Are there any mathematicians like me?” This question led to her creation of the Mathematician’s Project, where she showcases one mathematician every Friday (as long as they aren’t an old, white, rich, dead man) in order to show her students that anyone can be a mathematician. 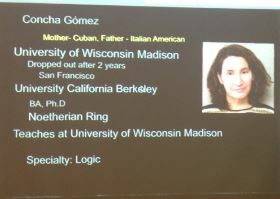 She includes their name, date of birth, ethnicity, background biography, major accomplishments, and math specialty. She even polled her students to see the types of people they wanted to learn about, and had students write their own mathematician bios. The shift in her classroom culture was unmeasurable. 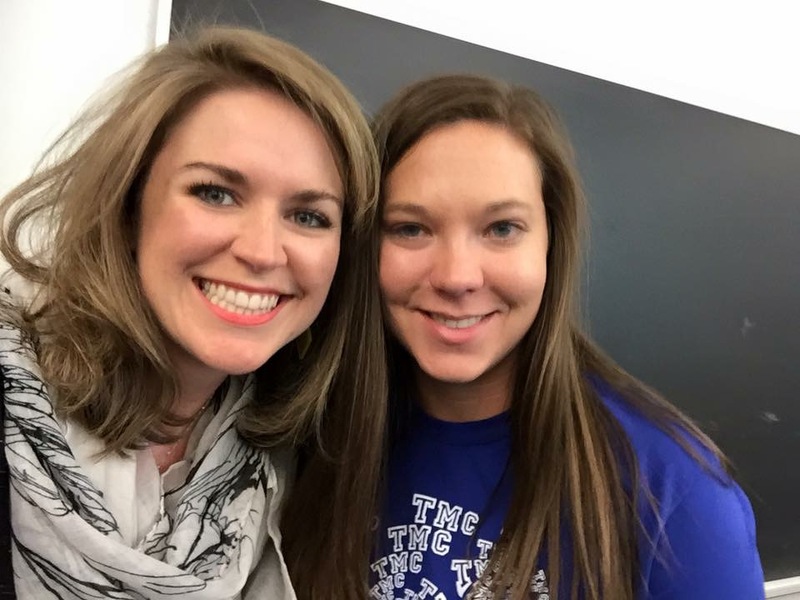 Favorite Icebreaker: Amy taught us an amazing new icebreaker that I can’t way to play with my students when school starts called “Go Ahead – Break the Ice.” Break students into small groups, and give them three minutes to collectively come up with a favorite book, movie and game. Then, have students list all the ways they came to the decisions they did. This leads into a great discussion on group norms and how to work with other people. Some of the decision-making strategies were: “strong arming, time pressure, majority rules, brainstorm, survey, throw out ideas until they stick, pickiest gets the choice, narrow the choices, help those who aren’t speaking up, make sure everyone has a voice, etc…” It was a really fun activity to get to know your group, and have time to talk about group dynamics. Favorite My Favorite: I can’t really put into words out much Glenn means to me in this community. Watch his talk here, and be as thankful as I am that he didn’t turn around. 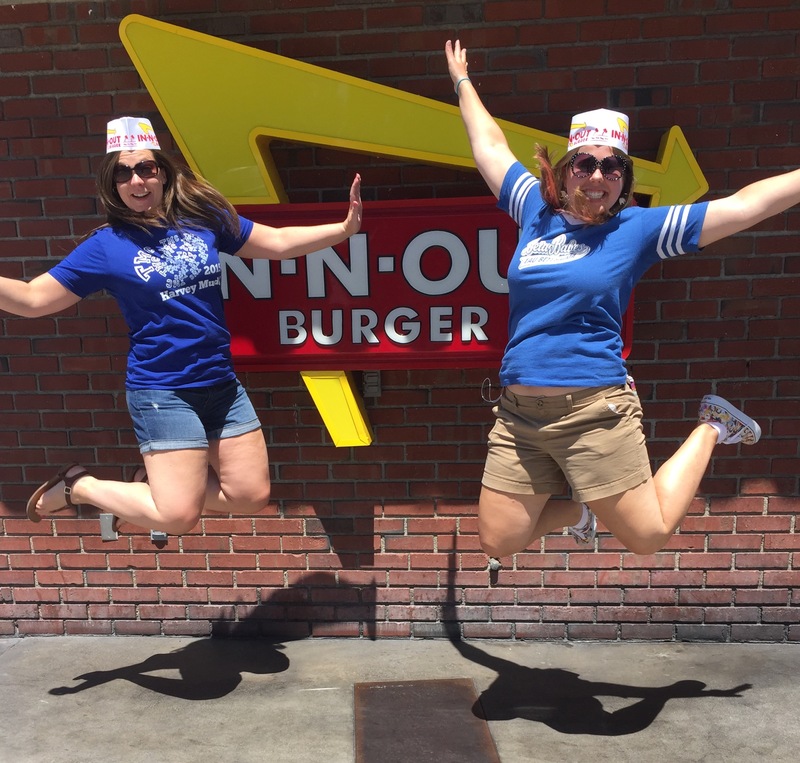 Although I just returned “home” from a California adventure that included visits to Santa Cruz, Big Sur, Anaheim, Los Angeles and Claremont… I actually felt like I was home while attending this year’s Twitter Math Camp (TMC). It has become my must-attend event of the summer, and I plan the rest of my break around it. Doing math and talking about math with such passionate and inspiring educators propels me into the new school year on high speed. Next year’s camp will be held at Augsburg College in Minneapolis from July 16-19, 2016 and you can bet I’ll do anything in my power to attend. It always take a bit of time to wind down from TMC; it’s information overload in the best way possible. But it’s unreasonable to think that I will return to my classroom in 5 weeks and implement everything I learned. These are my largest takeaways from TMC, and “my favorite” memories/quotes/highlights, that I wish to carry with me during the year. Favorite Disney Picture(s): Pre-TMC, I spent a whirlwind 16 hours at Disneyland and California Adventure Park with Casey, Connie, Nicole, and Meg. We mapped our course through the parks to maximize the number of rides/attractions we could see in one day. And of course, when we weren’t tweeting while waiting in line, we talked about teaching math. 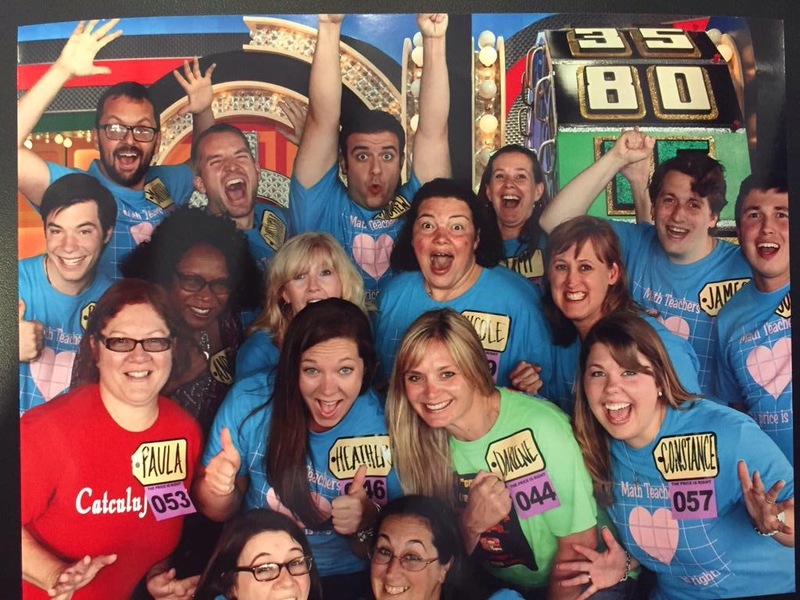 Favorite Price is Right Group: It’s a very long process of signing waivers, getting nametags, and being interviewed by producers for a potential spot on the show, but in the end it was worth it to check this item off my bucket list. We cheered and yelled prices at the contestants, and you can watch how it all played out on November 2nd! Favorite Morning Session: I made the decision to attend Elizabeth and Chris‘ morning session on “Creating a Culture of Exploratory Talk” and it was the perfect decision for me. I have been attempting to hold better classroom discussions, but this session provided me with specific strategies/structures to use with my students to get them to have richer conversations. I have selected Elizabeth’s Talking Points Activity as my #1TMCthing, so I will be writing another blog post about that in the next couple weeks. In the meantime, here is our morning session wiki page, and here is one of Elizabeth’s posts about Talking Points. Favorite Debating Activity: Table Debates. During the exploratory talk session, Chris shared his numerous activities for bringing debate into the math classroom. He shares many of his strategies on his website. An argument is comprised of two parts: a claim and a warrant. You can turn almost any statement into a debateable question by adding words such as: best/worst, always/sometimes/never, most, weirdest, biggest/smallest, etc. When students are table debating, they are given a problem or situtation, and two possible opinions on the topic. They must state their argument for the opinion on their side of the table. This is my favorite strategy because students might not always agree with the opinion they are given. However, they need to figure out a strong argument to support that opinion. I feel like many of my questions can be easily rewritten in this format, so it shouldn’t be too difficult to implement this activity this year. Favorite Must-Watch TED Talk: In Fawn’s keynote, she shared a quote from Rita Pierson’s TED Talk: “Kids don’t learn from people they don’t like.” I’ve come across this TED talk before, but never actually watched it… until now. The quote nicely highlights Fawn’s recommendations for good teaching: fast (in terms of returning emails, feedback, etc); fair, friendly, firm, and funny. Favorite SMP Posters: During his talking on Teaching the 8 Practices, Chris shared his SMP posters and had us analyze them. Chris boils down all the CCSS into two words: Thinking and Communicating. The posters all have the same format and are designed specifically for our students. My favorite part of each poster are the questions in the bottom left corner. These are questions that not only can our students ask themselves to determine which practice they are doing, but we as teachers can ask them as we develop lessons and tasks. Every problem has a mistake. Every problem. Students must analyze the structure of the problem to build their conceptual understanding, based on what is currently incorrect. Students must fix the mistakes once identified and justify their reasoning. Read more about this activity on Andrew’s blog. Favorite Good Teacher vs. Great Teacher Distinguishing Feature: Ilana Horn’s keynote titled “Growing Our Own Practice” was inspiring and informative. Among sharing many discoveries found during her studies, she shared three key features that differentiate between the good teachers and great teachers she observed: Teacher Agency, Empathetic Reasoning, and Ecological Thinking. My favorite among these is Teacher Agency. Ilana emphasized that great teachers state their problems as actionable items. The example she shared is how a teacher views the problem of a student finishing his/her work early. A great teacher does not discuss this problem as having fast vs. slow kids. A great teacher discusses this “problem” in terms of the task itself, and the value of finding group-worthy tasks that engage all levels of learners and include extension possibilities. As I start a new school year with another new principal, I want to remember this mindset: how can we take a problem and turn it into an action item? Favorite New Desmos Activity: This is actually a trick. I can’t tell you about my new favorite Desmos activity because it hasn’t been released yet. But Eli gave the TMC crowd a sneak peek, and let me tell you, it’s amazing. It will change your teaching life. Stay tuned, it should be released sometime next week. Hopefully this convinces you to head to your nearest home improvement store and purchase some shower board panels if you haven’t already! Favorite Debriefing Partner: At the end of every day, Rachel and I would meet up for the walk/drive back to the hotel, and immediately begin sharing everything that happened during the day. It was one of the times of each day that I treasured most. We needed that time together to gather our thoughts and really process everything we learned/experienced. Since we didn’t end up attending a single session together, we were able to double our information intake. Thank you for being the perfect roommate, Rachel! Favorite Piano Bar Song: Sweet Caroline. John requested it, someone else vetoed it, more money was thrown into the pot, and then we had an epic singing contest between both sides of the room. We owe a huge number of thanks to PianoPiano in Claremont for entertaining us each night. Thank you to the TMC volunteer planning committee! This special conference would not exist without all your hard work, and we are all better teachers because of it! Last year I described some the tweets I had favorited here. After another lull in blogging, I thought this might be an easy way to jump back in. Here are some recent tweets that I favorited, forgot about it, and now want to document. 1) Math Coherence Activity from Achieve the Core: This activity would be great for teachers on a PD day. Teachers must place the standards in the correct progression order without looking. 2) Row Games: Kate describes them very well in her blog post, and when Rachel was looking for one on properties of Exponents, Lisa directed her to this folder with a plethora of them! 3) This awesome graph/activity from the Shell Centre written about by Megan and tweeted about by Cliff. 4) CueThink: This tweet below from Caryn Trautz and this blog post from Andrew Stadel were my first introductions to CueThink. Norma Gordon from CueThink has since presented at the Global Math Department and you can find the webinar here. It’s an app that will change the way our students communicate, problem solve, and receive feedback. Check. It. Out. After attending Twitter Math Camp 2014 in Jenks, OK, I immediately flew to Hilton Head where I joined my family on vacation. While lounging by the pool, I had a lot of time to reflect on this year’s camp. It still ranks as the best professional development experience I have ever had, but I often struggle to find ways to articulate why TMC is so special. Prior to attending, whenever I told someone I was going to a Twitter Math Camp, the person laughed and made a joke about nerdy math teachers. So I changed my story: “Me: I’m going to a math conference. Them: Oh cool, hope you learn a lot.” And I hated myself for those interactions. 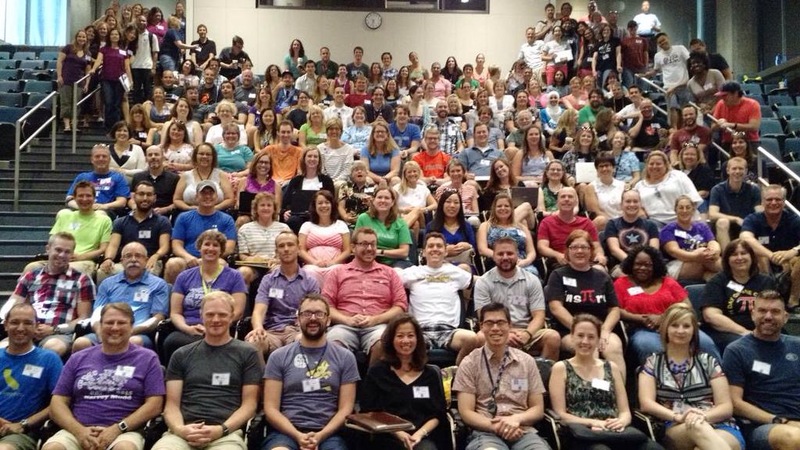 Why does everyone else think a math conference is acceptable to attend, even cool, when I (and I’m sure most TMC attendees would agree) that Twitter Math Camp is by far the coolest “conference” a math teacher will ever attend? But it’s because they don’t understand. I know that I shouldn’t take the easy way out by changing my story, and I’ve promised myself to never do that again. I want to help people (especially math teachers!) understand and appreciate what everyone in the MathTwitterBlogosphere (MTBoS) has created together. The comparison to an actual overnight summer camp might actually help the most. At TMC, you attend sessions of interest to you, listen to inspiring speakers, eat every single meal with your fellow campers, play games (some math some not) during free time, explore your surroundings, and stay up way past your bedtime. After four days, you are exhausted; you are inspired; you are passionate; you are reflecting; you are questioning; you are bonded. Luckily, the conversations that begin at TMC don’t have to end at TMC. Throughout the year, we will continue chatting on twitter, blog posts, text messages; so if you’re out there lurking, jump in and join the conversation, then join us at Harvey Mudd College next summer. In the same spirit as last year, I will recap some of TMC as a series of “My Favorites” (in no particular order). Favorite Airport Reading: Powerful Problem Solving by Max Ray. I wanted to read this book last summer but never got around to it. I’m now four chapters in and devouring it. 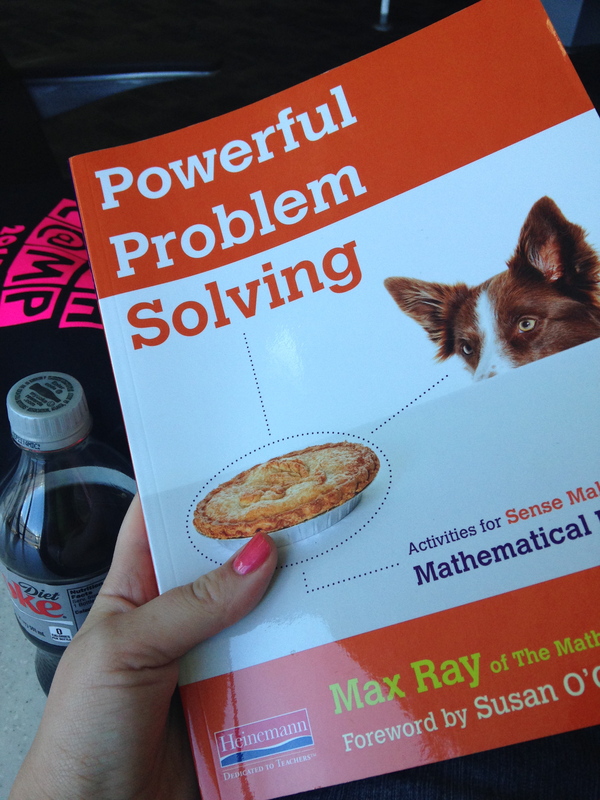 Max writes about problem solving strategies directly connected with the standards for mathematical practice. He shares numerous activities you can do with your students tomorrow and shares actual samples of student work/classroom conversations. Favorite Standard for Mathematical Practice: In Steve Leinwand’s keynote, Shifting Our Mindsets and Our Actions from Remembering HOW to Understanding WHY, he referred to SMP #3 as the “Trojan Horse” and the “Most important 9 words in the CCSS.” I would have to agree with Steve on this one. SMP #3 = Construct viable arguments and critique the reasoning of others. Students must be able to communicate their findings and respond to the conclusions of others. This is a practice that must be taught explicitly and will be one of my goals for this school year. I plan on echoing Steve, and demanding that students “CONVINCE ME” of their conclusions. 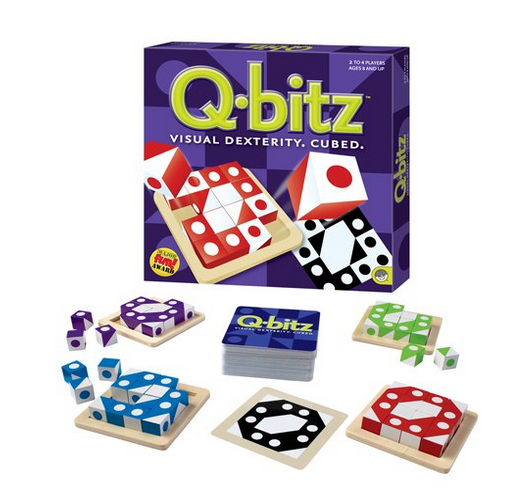 Favorite Game: Andy Pethan introduced me to the game, Q-bitz, during Wednesday’s game night. There are three different challenges where you have to recreate patterns out of cubes faster than your competitors. As someone who loves math and wants to be on Survivor one day, this game is right up my ally. Favorite Opening Day Activity: John Mahlstedt tells his students how awesome he is on the first day of school by sharing facts/pictures about himself. It’s a way for students to learn that you’re not only a teacher, but a human too, and a fun one. I usually have students try the matching activity below, but normally I simply share the answers at the end of class. This year, I’m going to enhance this activity with John’s suggestion of making a slideshow with pictures to show my students rather than just telling them about me. 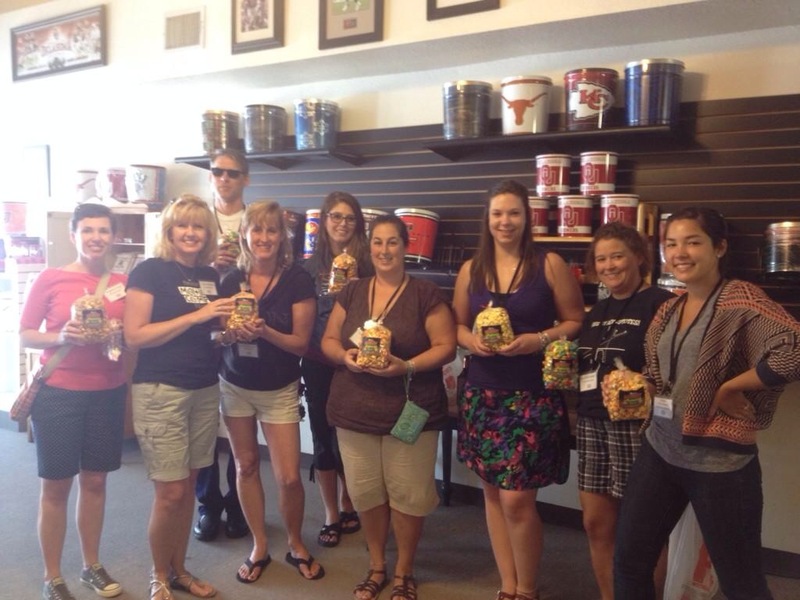 Favorite Lunchtime Adventure: During lunch one day, a group of us found Gameday Popcorn on main street and had a great time testing all the flavors. Favorite Morning Session: Writing Real World Lessons with Mathalicious. Karim and Matt led a fantastic session on the creation process of Mathalicious lessons: “The narrative determines the standards, not vice-versa.” This was so interesting to me because I feel that most of the time, when my colleagues and I are discussing an upcoming topic/unit, we are doing the vice-versa. Ex. 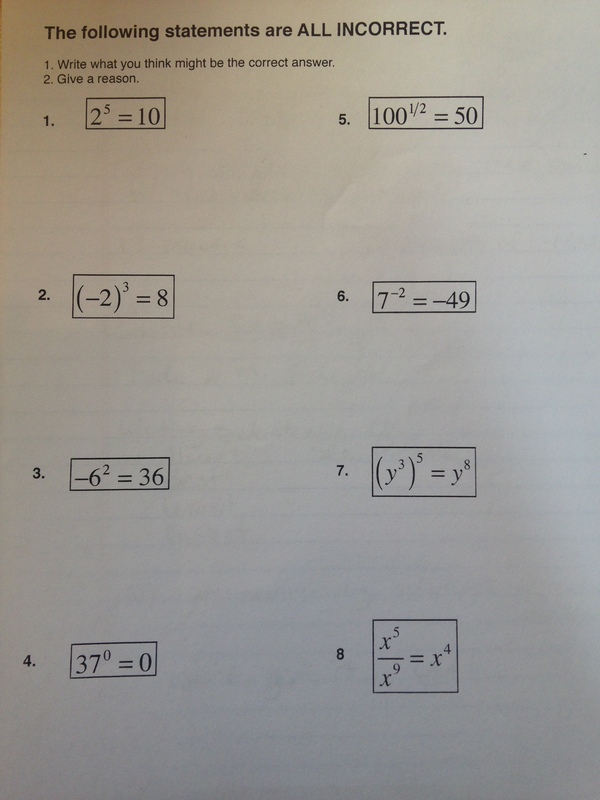 Tomorrow we have to teach solving systems of equations by elimination… how should we do this? Mathalicious lessons are conversations about a really interesting topic that needs math to answer the question. That’s why the lessons are so authentic and engaging. Our group spent time proposing thought-provoking questions, discussing their authenticity, and attempting to write a sample lesson out of our ideas. The experience was extremely rewarding and although it’s time consuming, I hope to bring this practice back to my own planning time. 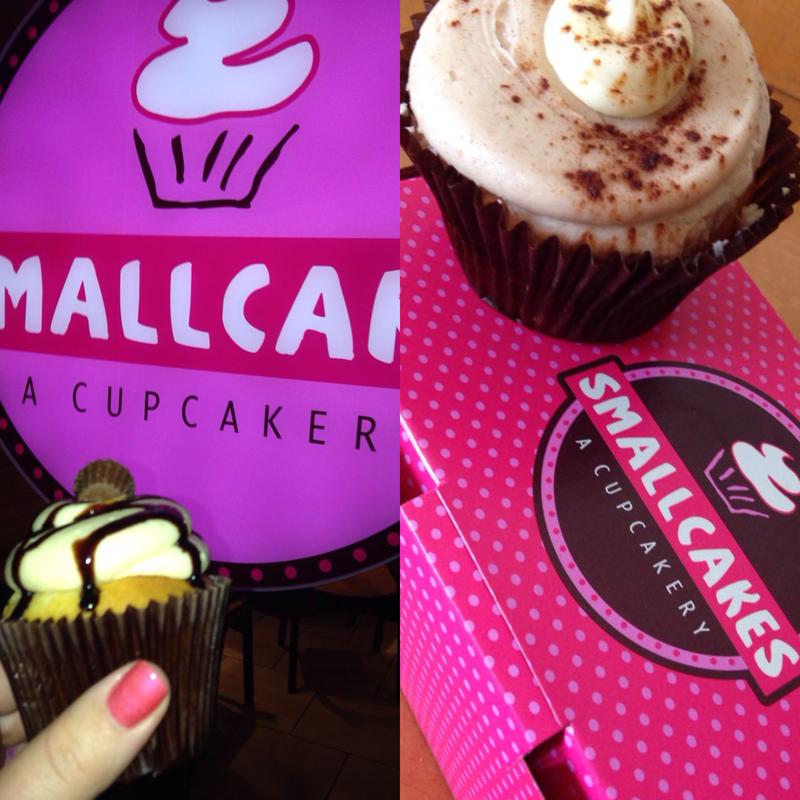 Favorite Cupcake Locale: Smallcakes. Delicious. Favorite Formative Assessment Explanation: John Scammell shared more than 60 formative assessment strategies that you can easily implement in your classroom. He kindly shared all of them here, but it’s how he described formative assessment that actually stuck with me the most. John said that formative assessment must be risk free. If you put a grade on it, or enter it into an online grading system, it’s no longer risk free to a student or parent. Formative assessment should be all about providing feedback. One easy suggestion is to use a highlighter to mark the last spot a student’s work was right. Another is to mark a problem with a + (better than previous work), – (worse than previous work), or = (equal to previous work) sign. And my favorite method he shared, was to actually classify a student’s error. Many students get frustrated when something is marked wrong, and they immediately think they don’t understand anything. It’s important to differentiate between whether an error is a conceptual misunderstanding or calculation mistake. 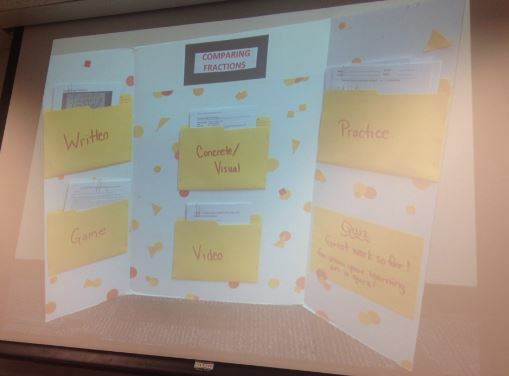 Favorite Ice Breaker: Bob Lochel discussed Meaningful Adjacencies as related to the 9/11 Memorial in NY and how a similar connection activity with tv shows can be used in your classroom. He provides a very thorough explanation on his blog post. In Dan’s keynote address, he shared tons of data on tweeting and blogging math teachers. He’s interested because he knows that great ideas are being shared, but no one knows about them. He wants to know about them. And so do I. When you post/tweet your great ideas, my students get to benefit from them. It’s okay to be selfish here, because the more students that benefit, the better it is. 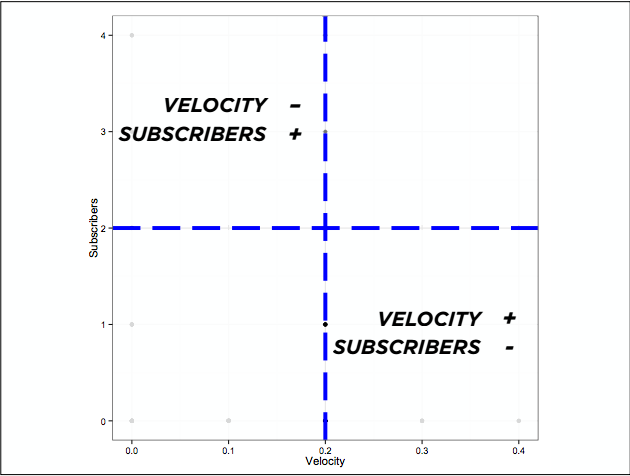 Favorite Dan Meyer Slide: Dan shared a graph comparing a blogger’s velocity (posts per week) to number of subscribers. He said he’s interested in the individuals in quadrant 2, those who post infrequently, but have many readers. After examining his data, it appears that my blog falls in quadrant 2. I post infrequently because I’m afraid and therefore selective. Afraid that what I’m offering won’t be as good as what other people are offering. So I’m choosy. I like to post activities after I’ve done them so I know if they worked or not, and so I can edit them before posting. I try to include any part of the activity that is downloadable, so you can take it and use it tomorrow. I post when I want more than the 100 students on my roster to benefit from something fun. Maybe this is why some of you are following my blog, if you have other insights, please let me know. But in the meantime, thank you for reading! Favorite Desmos Update: In his keynote, Eli Luberoff assured us that Desmos would be free forever. This is incredible news. Desmos has created API partnerships and has financial security to ensure that we will never have to pay to use this online graphing calculator. All teachers and students can benefit from this resource, so if you haven’t played with it yet, stop reading and go to Desmos now. Also, be sure to check out this new digital math lesson from Dan Meyer, Christopher Danielson, and Desmos: Central Park (and the other four lessons on Teacher Desmos). Favorite Roommate: Rachel and I bonded over being teachers at the high schools we went to, Algebra 1, True Detective, Richard Linklater films, quiet time, beer choices, traveling and so much more. Check out her blog here and let’s convince her to post more this year. 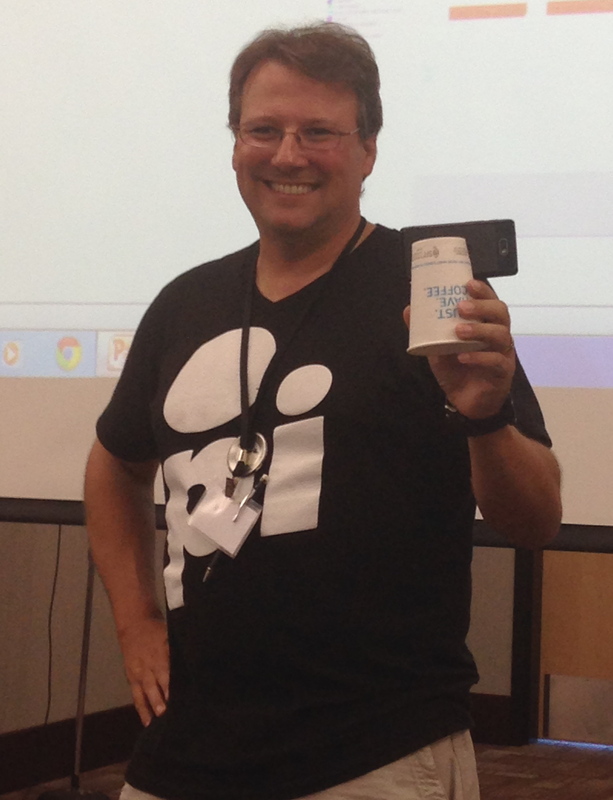 Favorite App: Pam Wilson introduced TMC to Plickers and our classrooms will never be the same. 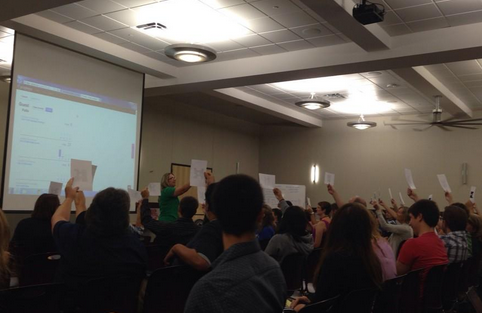 Each student responds to a multiple choice question by holding up a unique bar code. The teacher uses a smartphone to scan the room and the responses are graphed/recorded automatically. I see myself using this as a quick formative assessment at the end of class. 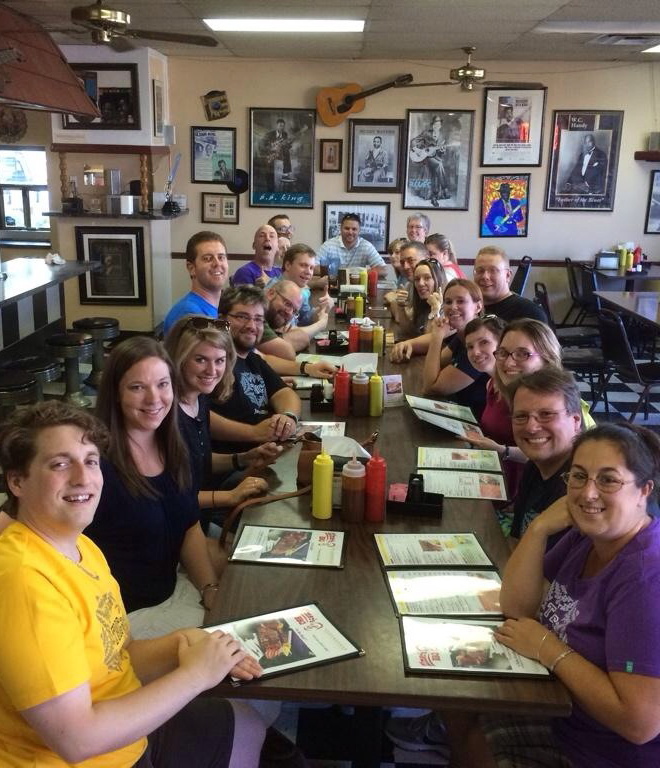 Favorite BBQ: Elmer’s with this fun crew. Thank you Jason for treating us! Favorite 3D Printing Resources: John Stevens and I talked about using 3D printers in the math classroom. We are going to have several 3D printers at my school next year and I want to do something awesome with them. If you have any advice, please share with John and me! Favorite Book Recommendation – Justin Lanier plugged the books How Children Learn and How Children Fail by John Holt. Justin’s takeaways: 1) Look Around 2) Teach Crazy 3) Trust Children. 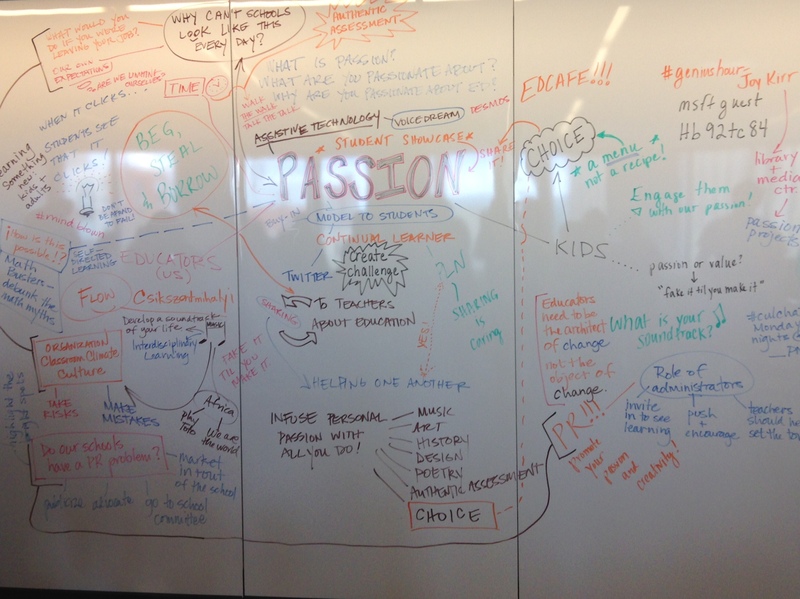 Yesterday I attended my second Edcamp Boston unconference and it was just as great as the first! This year, a supervisor from my district joined me, and I really enjoyed having someone there to chat with about how the sessions we attended could impact our school. It was a day of information overload and I will be going through my notes carefully to unpack the goods. 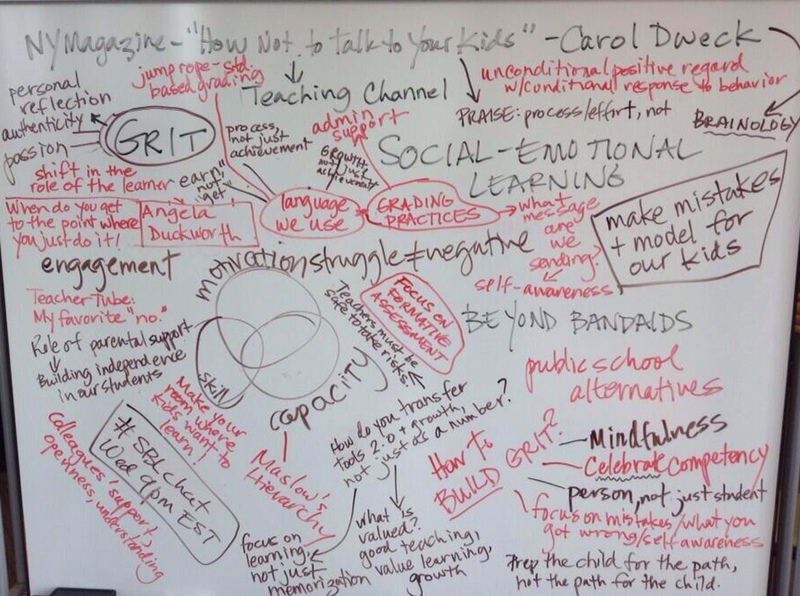 We took collaborative notes during the session and they can be found here. Of all the qualities of progressive classrooms we listed, my favorites were student voice and collaboration. We must give students options when possible, and provide them with explicit opportunities to collaborate with peers on tasks. My biggest takeaway from the session was individual reflection of what we’re already doing in the classroom at my school. For our interdisciplinary STEM projects, we give students a budget, and another team has students look for investors if they run out of money. We also invite community/business members to our student exhibitions so they can share ideas and receive feedback from individuals practicing in the field. An interesting TED talk shared in the session is “Start with Why” by Simon Sinek. Check it out. Use Google Gooru for training resources – the staff at my school is going to find this extremely helpful! Goobric allows you to add a rubric to Google Drive resources and then send it directly to students for instant feedback! The session itself was my favorite of the day because I love when you can just feel the energy in a room, and everyone in this room was radiating passion. Going into Edcamp, I had no intention of leading a session, but Rik convinced me to throw a session onto the board, and I’m so glad I did. About 12 teachers came out to the last session to talk math. Session notes here. 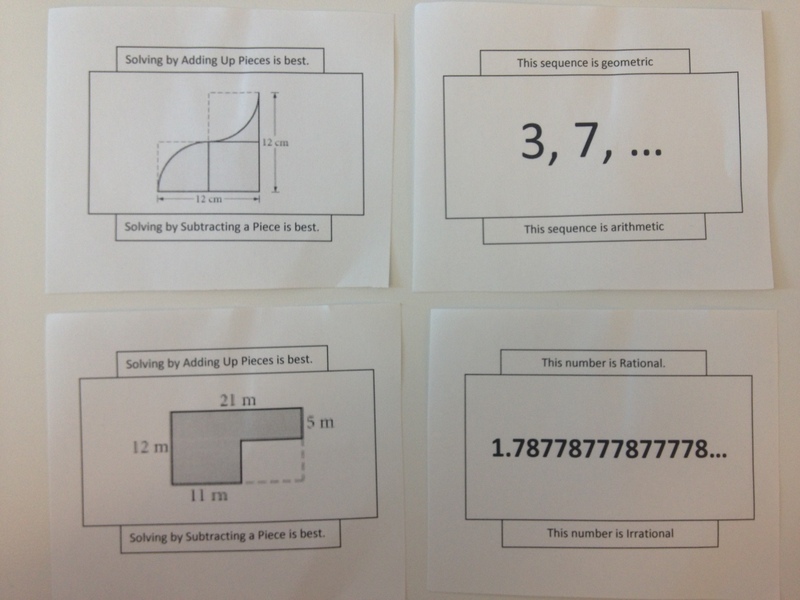 We talked about Desmos, Estimation 180, Dan Meyer’s Three Act Tasks, and Would You Rather. I love sharing these awesome resources with other teachers who haven’t come across them yet. Unfortunately the projector wasn’t working in the room we were in, so we couldn’t play around with them together. We talked about the PARCC pilot tests that some of our students have taken, and how challenging the implementation has been so far. I brought up the Standards for Mathematical Practice and how I know I need to implement them more explicitly. We can have students write more in math class if they write about how they used the standards for a particular task (this also helps teachers in MA who are taking the RETELL course for English Language Learners). It was really nice to chat with other math teachers in the state and share what we’re doing in our classrooms. My favorite idea from the session was “Tic-Tac-Toe” from Rik. Create a 9 box grid and input anything you want – equations, graphs, tables, stories. Then, have students connect a row horizontally, vertically, or diagonally, by connecting the information in the boxes. They have to defend their choices and explain how the topics in each box are related. Individuals jumped up to share online resources in one minute or less. I talked about Desmos again because everyone needs to know about it! Full list of apps shared here. The one I am downloading ASAP is “OneTab” It’s a Google Chrome extension that lets you turn all open browser tabs into: ONE tab. It save space, and you can actually email a set of tabs to share with someone else. Super cool and I can’t believe I’ve never heard of this before.